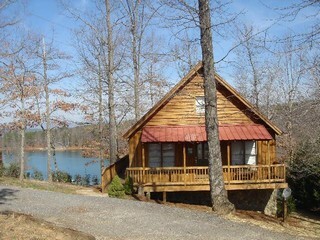 This property gives you the best of both worlds – deep waterfront and awesome mountain views from mid-lake. Cabin like design for the person who wants the mountain/lake feel. 0.88 acre property has over 180 ft of shoreline and a dock with a hydro-lift in place. Property has a covered shed in front, all furniture is included but can be removed.